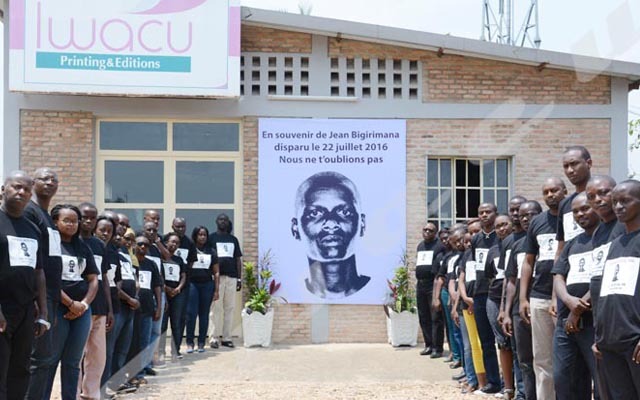 After concerns by MPs about relocating the political capital from Bujumbura to Gitega, they ended up adopting a bill setting Gitega as a political capital of Burundi. Simon Bizimungu, MP elected in Cibitoke constituency says to be concerned over the families’ life after the relocation of the capital. “There are families that won’t afford to live separately because of the high expenses and the insufficient salary. Has the government thought about increasing salary of public employees?” he asks. He also says Gitega faces a number of problems like the lack of water, inappropriate infrastructures to host all offices of the ministries that will be moved to Gitega. Mr. Bizimungu also says Gitega could not be a political capital without an airport and wonders why the government has built a new presidential palace in Bujumbura while it knew the capital had to be relocated to Gitega. For Fabien Banciryanino, MP elected in Bubanza constituency, the relocation of the political capital to Gitega is a hasty decision that could have taken at least 10 years to be implemented. “There was no preparation up to the level of this project. Moving a political capital is not easy. It takes much time and preparation”. Pascal Barandagiye, Minister of the Interior, says the decision to separate the political capital from the economic one was carefully analyzed. “The decision was thought about beforehand and even experts were consulted. It is better to separate the two capitals. When there is an attack for example, the country is not highly affected,” he says. Mr. Barandagiye calls on workers of public institution to adjust accordingly. “This is a government’s decision and public workers have no right to oppose it. Each new decision requires some adaptation. They will get accustomed used to it”. The Council of Ministers held at Gitega presidential palace on December 21, 2018 adopted the bill setting the political capital of Burundi in Gitega province and the economic capital in Bujumbura city. It was decided that the meetings of the Council of Ministers will be held in Gitega province and five ministries will be relocated to the new political capital in early 2019.